First you need to contact the international coordinator at your home institution to express your interest in studying at Kunstuniversität Linz. 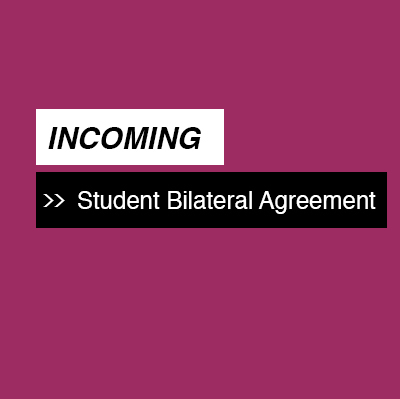 If your home institution has a bilateral agreement with Kunstuniversität Linz you are welcome to come as an exchange student to our university. Students must be nominated by email by the partner university. Students applying for an exchange at KUNI Linz should have completed at least two years of study before the exchange. Students who are nominated by a partner university of Kunstuniversity Linz can apply for an exchange place. It is very important that exchange students have a high level of proficiency in either German or English. Please note that most classes at KUNI Linz are held in German. We offer German classes for our international students during the semester. Some classes are held in English and is it also possible to meet teachers for individual meetings in English. We invite our exchange students to orientation day/s at the beginning of each semester. The students will receive an inviation by email in time. Our Department Industrial Design scionic® (Bachelor and Master degree-programme) accepts incoming exchange-students only for the summer semester (beginning of March to the end June). The bachelor students of FAT of Kuni Linz must choose an internship/work placement during their 4th semester (summer term) - courses of the 2nd and 6th semester must be selected then by the incoming exchange students.